As an access focused company, we do our best to make sure that what we create is accessible. This goes for everything from the Actiview app itself, to our website, to our emails and social media posts. There is much to learn about accessibility, and sometimes it can be hard to know where to start. In my quest to learn about making content accessible, I have picked up some tips that I thought I’d share, beginning with a few ways you can make your social media posts more accessible. 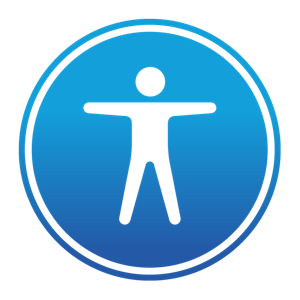 The universal symbol for accessibility — a stick figure human icon standing with arms and legs extended surrounded by a blue circle. But first thing’s first. What is accessibility? Accessibility refers to the design of products, devices, services, or environments for people who have alternative needs or a disability. For social media, accessibility means that you are designing and posting your content in a way that ensures everyone is able to access it, regardless of ability. The good news is that there are a lot of great features that are already built into commonly used social media platforms like Facebook, Twitter, and YouTube. The key is knowing how to use and take advantage of these features to ensure that all of your fans, followers, and users are able to experience and enjoy the content you post. 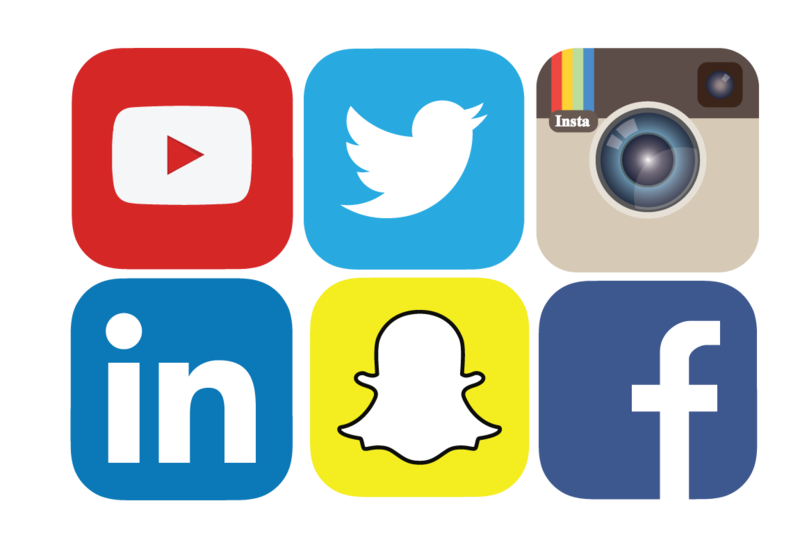 Social media app icons for YouTube, LinkedIn, Twitter, Snapchat, Instagram, and Facebook stacked on top of one another. Here are 5 tips and lots of resources to get you started on making your social media content more accessible. Always have “ALT” text or a caption for your images and photos. This is a great start to ensuring that your social media content is accessible. Writing a description for each photo or image you post allows people who are Blind or Low Vision to get a sense of the visual components of your posts. And it’s a tip that can be applied to all platforms that you post images to including Pinterest, Facebook, Twitter, Google+ and Instagram. The key to writing ALT tags/captions is to make sure you describe enough of the photo for your followers to envision what is taking place in the image, but not so much that the description takes forever to read (or listen to for people who use Voice Over). This means explaining things that help give context for why the photo is being shown and leaving out details that aren’t necessarily important. 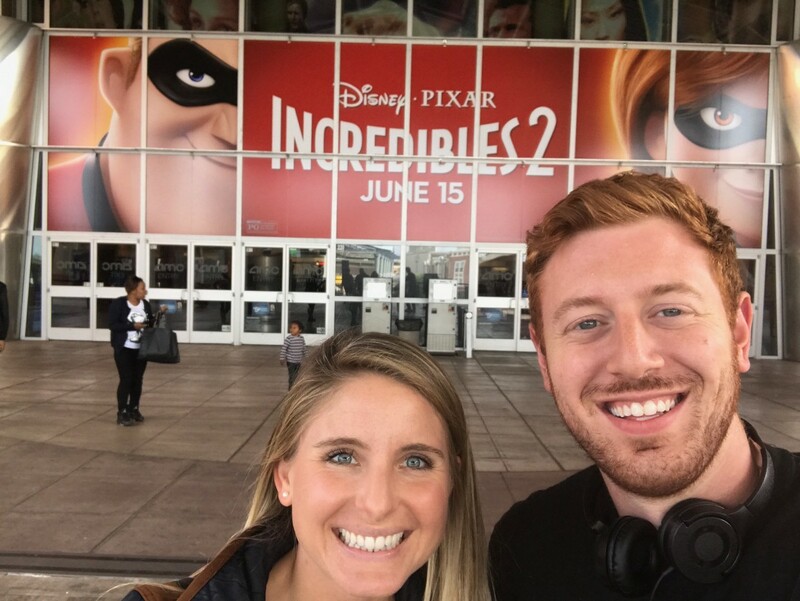 A selfie of Allie and Alex from Actiview taken in front of a movie theater with an Incredibles 2 banner featuring Bob and Helen Parr (Mr. and Mrs. Incredible). This description paints a visual of what is taking place in the photo without over or under describing. It focuses on the main components of the photo without highlighting unnecessary elements such as the person standing in the background or the color of the banner or door frames. For Instagram, make sure to include a caption in the main description text. There are no character limits, so feel free to describe away! 2. Make sure captions are enabled on your videos. Videos are becoming an increasingly popular form of content for social posts and promotion. In order to ensure that your videos are accessible to your followers who are Deaf or Hard of Hearing, embed and overlay written captions on your video. If you don’t have the editing time or savvy, you can easily turn caption features on from various social sites you post to. Here is a great video that explains how to create subtitles and closed captions on your YouTube video. Notice the embedded captions on the screen. 3. Create an audio described version of your videos for Blind/Low Vision followers. Many people who are Blind/Low Vision benefit from Audio Description, a narrated track of the visuals that accompanies the dialogue in videos. It helps them better understand nuances and information being conveyed by images that they might otherwise miss. When possible, add Audio Description to your video posts, or create a separate video with Audio Description for Blind/Low Vision followers. For interviews and videos with a lot of dialogue, it’s helpful to state who’s in the room / shot at the beginning to set the scene. Here is a good video tutorial about how to make Audio Description for your videos. 4. Test your posts with Voice Over. With awesome accessibility features built into our devices these days, we are able to test our content to make sure it’s accessible for people who use Voice Over. Voice Over is a common way that millions of people who are Blind and Low Vision are able to navigate computers and phones efficiently and effectively. You can enable Voice Over on your Apple or Android devices to test your content. For more insight into how people use the voice over feature to navigate apps, check out Tommy Edison’s video about how he uses his iPhone and apps like Twitter and Facebook as a person who is Blind. 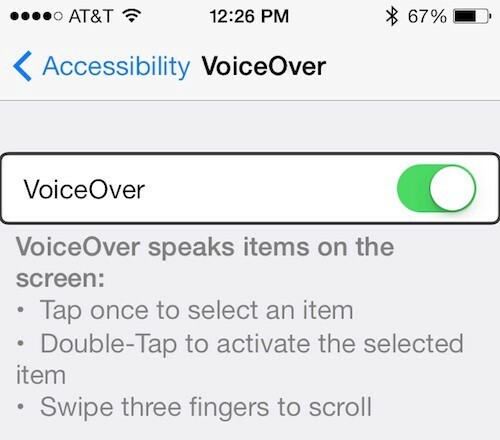 Screenshot of VoiceOver enabled section on an iPhone’s settings with “VoiceOver speaks items on the screen” as well as instructions on how to use it. 5. Never leave someone hanging with questions. If your followers have accessibility needs and questions you can’t resolve using these tips, do your best to find and share resources that might be helpful for them. A simple Google search for information can often do the trick for finding answers to the issues they’re coming up against. I’ve listed a few sites and tips below for a start. 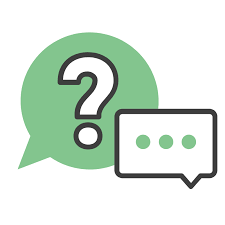 Question mark in a circular speech bubble and an overlapping squared speech bubble with dots, presumably signifying someone typing an answer. If you’re looking for more tips on how to make your social media and other web content accessible, check out sites like WebAim.org, the ADA Best Practices Tool Kit for Web Accessibility, Bureau of Internet Accessibility, and the World Wide Web Consortium’s Accessibility Standards. AXSChat also has a great weekly video interview and Twitter chat with helpful topics and tips around accessibility. At the end of the day, it’s about doing your best to ensure that all people are able to enjoy and be included in the posts and news you share. They are following you because they like what you are doing, and they want to get excited about your updates like everyone else! Have tips of your own? We’d love to hear them! Feel free to reach out to us at team@actiview.co. To learn more about the Actiview app visit activiewapp.com.